Sound and lights are our thing. We do it because we love it. Because of this we’re always excited to get a new DJ gig as it’s something we do well – again because we love doing it. However, Laidback Luke always leaves us awestruck. EDM (Electronic Dance Music) may not ‘be your thing’ but it’s one of ours. The energy it gives, the thumping baseline and the ability to indulge in some awesome mixing. But even if you don’t listen to much dance music, it’s difficult not to be in awe of Laidback Luke. Good DJing is far, far more than just playing a few tracks and with EDM more even than that. Beat matching is a skill, beat matching fast and even bigger skill, and successfully adding effects takes it to a whole different level. 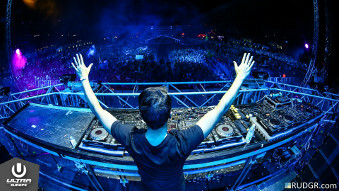 To then do this as well as Laidback Luke does is special.